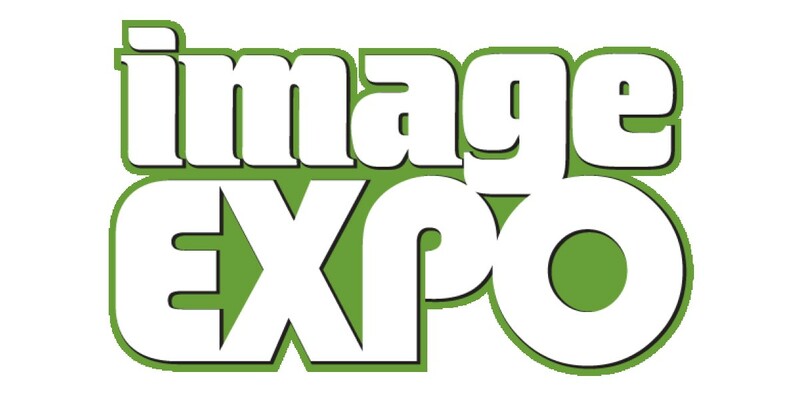 The following is a transcript of the keynote address given by Eric Stephenson, Publisher at Image Comics on Wednesday, April 6 at Image Expo in Seattle, Washington at the Showbox Market Theater. That's the first lesson I learned when I fell in love with comics some 40 years ago. Whatever you could imagine, it could happen. I began my love affair with comics right here in Washington, after my Dad was stationed at McChord Air Force Base and my family relocated to Tacoma. I was six, and I didn't really know how to read at the time. I was a “reluctant reader,” and one afternoon my parents handed me my first comics, in a last ditch attempt to engage me during the final stretch of our seemingly endless cross-country move. Within months, I no longer had to be cajoled into reading—I wanted to read. When I was growing up in Tacoma, Seattle's little sister to the south, I had the good fortune of going to school in one of the most diverse and welcoming environments I've ever known. We have categories for everything and everyone these days, but back then, we were all just kids learning together in school. I don't know if children are still taught this, but we were routinely told we could be anything we wanted when we grew up, even President of the United States. I remember one of my classmates questioning that, because he'd never seen a Black President. I recall a friend taking me over to his house after school one day. When we first walked in the door, I was immediately struck by how many comic books were stacked everywhere. And I mean everywhere: On counters, on chairs, on the staircase. There were more comics than I'd ever seen before, and old comics, too—the first time I'd ever seen comics from the ’50s or the ’60s, and I wondered aloud where he got them all. But they weren't his—they were his mother's. She was a self-professed comics fan, and she loved comics, even though others regarded her fascination with them as strange. She described herself as an oddball, saying she knew girls weren't supposed to read comics. Comics were written for boys back then. Just think about how obnoxious that sounds: "written for boys." Everything should be for everyone, but the comics industry was narrowcasting to the only readership it knew how to reach at the time. Despite a colorful history of varied content and the contrary efforts of some truly extraordinary talent, conventional wisdom insisted only superheroes sold, that comics were for kids, and women would never like comics. At the time, my friend’s mother seemed like a rarity, but today I know very few women who don’t read comics—and fewer and fewer people are surprised by that. After my family left Tacoma, we moved on to North Carolina, and then to Germany, and then California. Germany was actually called West Germany when I lived there in the 1980s, because a World War and a battle of ideologies had left a once-proud nation split in two. We were routinely assured while I was attending Ramstein American High School that Germany would always be divided, the country’s broken spirit forever symbolized by the Berlin Wall. Until very recently, marriage inequality was the law of the land. No more. Marijuana used to be illegal throughout the entire United States. That’s no longer true here. Or in Oregon. Or in Colorado. Once upon a long ago, schools were segregated, and only white people could vote. I’m sorry: Only white men could vote. Those days are long done. I’m sorry to keep coming back to such heavy examples of change, but here’s the thing: If we can accomplish the big things, why do we still sweat the small stuff? And comparatively, changing comics is small stuff. By the time I got to California, I knew I wanted to work in comics, but there weren’t a lot of options. I’d read enough about Jack Kirby, Jerry Siegel, and Joe Schuster to know there had to be more to comics than the two publishers who had dominated the industry for so long. I’d grown up reading superhero comics, but as a young adult, I refused to believe that was all there was. Maybe it was because I grew up during the bleak reality of the Cold War, but whatever the case, the status quo has never been for me. Fortunately, the way things were didn’t sit too well with many of comics’ most popular artists. Seven of them—Erik Larsen, Jim Lee, Rob Liefeld, Todd McFarlane, Whilce Portacio, Marc Silvestri, and Jim Valentino—decided that after years of doing things the way they had always been done, it was time for a change, and they formed their own company. Their goal was simple: They wanted to launch a company where they could own and control their work. Their aim was true: Once they had established themselves, they wanted to share what they’d built with other creators, so that everyone interested in owning their own work would have that opportunity. The immediate reaction was that it couldn’t be done, that they were ego-maniacs—crazy, even—and that they would fail. Image Comics will celebrate its 25th anniversary next year. Image Comics has succeeded for the same reason anything worth doing succeeds: The seven artists who founded the company believed in what they were doing enough that they were willing to work tirelessly to make their dreams real. If you want to affect change, you can’t just hope for it or dream about it or talk about it, you have to fight for it. Waiting for something to happen, hoping something will change, that’s the easy part. Anyone can do that. Actually taking action and doing the things that need to be done to bridge the gap between “impossible” and real change? That’s hard. It requires countless people coming together with a common goal, rolling up their sleeves, and doing what was too hard for others less committed to accomplish. Just ask anyone who has broken into comics—writer, artist, colorist, letterer, retailer, distributor, publishing executive. It doesn’t happen overnight, no matter how bad you want it, or how desperately you feel it’s warranted. There are times it will feel hopeless, and there are times it will seem impossible. Image Comics is nearly a quarter of a century old, and I have worked for this company nearly half my life. The landscape of the comics industry is almost unrecognizable compared to the way things looked in 1992. The people reading comics have changed. The people creating comics have changed. The people selling comics have changed. The comics themselves have changed. None of that is an accident. In the eight years I’ve been publisher at Image, our industry has undergone a seismic shift, wholly due to an unprecedented surge of creativity that has transformed comics from a guilty pleasure to a popularly accepted entertainment medium embraced by people of all kinds, the world over. That didn’t happen by strength of will alone, or by talking about it, or tweeting about it, or even by making speeches about it—it happened because the people responsible did the work. They sat down and wrote. They sat down and drew. They sat down and figured out how to take things to market. They took action. They did the work. There will always be other things to do. But if there’s a goal you’re aching to achieve, you have to work for it. There will always be those who say it can’t be done. But it’s up to you to prove them wrong. You have to do the work. It’s not enough to simply believe in change. You have to participate in change. We’re going to introduce some amazing people to you this morning, creators who learned the same lessons from comics I did, and who know that no hurdle is too great and that no goal is too big, who know that nothing is impossible. But they also know that you have to do the work. Not just while you’re on your way to achieving your goals, but after you’ve arrived. Not just while you’re dreaming, but after your dreams have come true. Not just today, not just tomorrow, but always. The minute you stop working for what you want, you risk losing it altogether. Success. Failure. They’re not mutually exclusive concepts. To achieve one: You have to do the work. To resist the other: You have to do the work. It’s such a simple concept, it almost seems like a joke, but it’s no joke, there’s no trick, and it’s no game. Anything worth accomplishing comes with a cost, and that cost is the work you invest. You just have to do the work.